NEW FOR 2019! A collection of original compositions for Orff ensembles designed for concert performance and the music classroom. These one-of-a-kind works are perfect for general classroom, project-based activities, or showcasing your students in performance! Includes online resources with audio tracks, instrument parts, and more! Great Big House is a collection of nine unique arrangements of folk songs of various cultures. Rich in color and texture, these arrangements are designed to be learned in a short amount of time. For Grades 2 thru 5. Visit www.greatbighousebook.com for audio samples and more info. ​using instruments and more, all while teaching/reinforcing music vocabulary and concepts and building reading fluency. Use the free online grooves and loops to energize the experience. Visit www.rhymesrhythmsandbeyond.com for more info. For a limited time! Save $5.00 now. Enter code: SAVE5NOW at checkout. Add some fun, humor, and excitement to your next Orff instrument performance! “The Mitty Matty Rag” is a traditional song that has been re-imagined in the style of Ragtime music. It features a percussion "toy" section and allows for students to improvise solos. Suitable for any program throughout the school year, The Mitty Matty Rag will have your audience smiling! Includes instructional notes and audio file. For grades 4 thru 6. 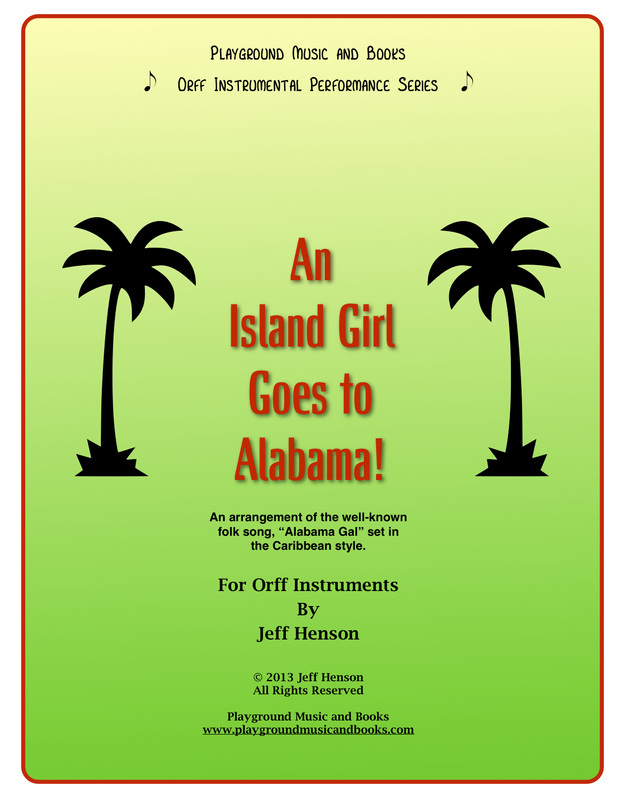 “An Island Girl Goes To Alabama” is an arrangement that uses the folk song, "Alabama Gal", but with a Caribbean flair, creating a unique stylistic treatment of the melody. For grades 4 thru 6. 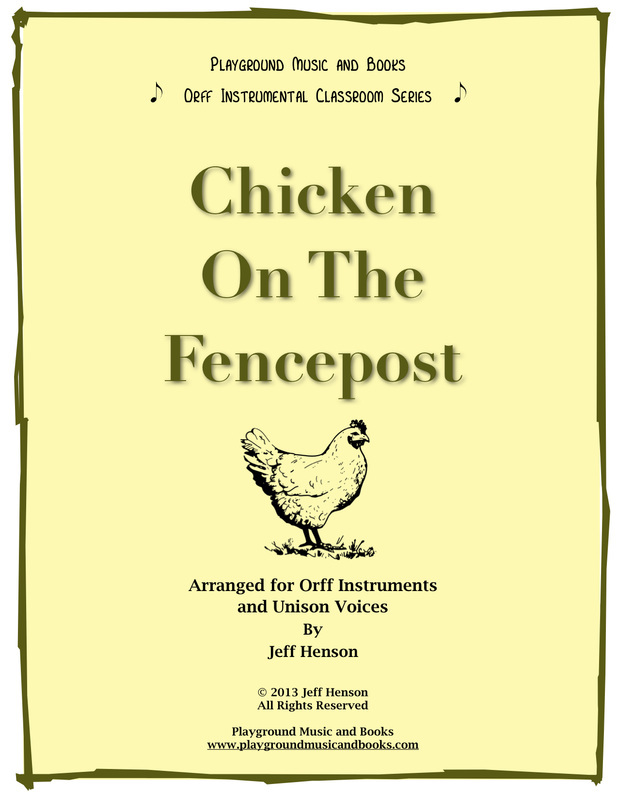 Written for Orff Instruments and Unison voices, “Chicken On The Fencepost” is a party song from the USA. The ’clip-clop’ sound of the horse’s hoofs played on the temple blocks, giving the arrangement a “Surrey With The Fringe On Top” character. Teaching steps provided. For grades 3 thru 5. CRAZY JINGLE BELLS! for String Orchestra is a comical treatment of the classic Holiday song, Jingle Bells and incorporates cartoon type sound effects to add some musical humor and fun to any holiday or winter performance. The audience is sure to love this entertaining rendition! For middle or high school. “Oh árbol de Navidad” (O CHRISTMAS TREE) uses syncopated Latin rhythms to energize and re-imagine this traditional German Carol. Spice up your winter program with the sounds of latin percussion instruments combined with the traditional Orff ensemble. Score, individual parts, and full listening track included. For grades 4-6. 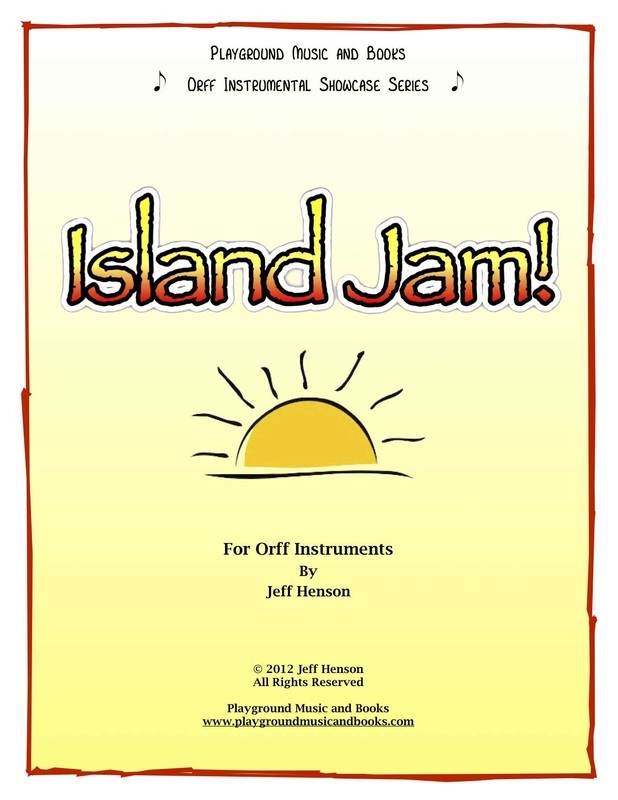 Island Jam is an exciting and fun piece influenced by the rhythms of the caribbean islands and brazilian carnival music and features a non-pitched percussion “jam” section where students can improvise short solo breaks. Includes full score, individual parts and full listening track. For Grades 4 thru 6. Very popular with students and teachers! Composed for Orff instruments, “Masquerade Ball” is an original work inspired by the orchestral work, "In The Hall of The Mountain King" by Edvard Grieg and offers a chance for students to explore the similarities and differences with the more well-known orchestral work. For Grades 4 thru 6. 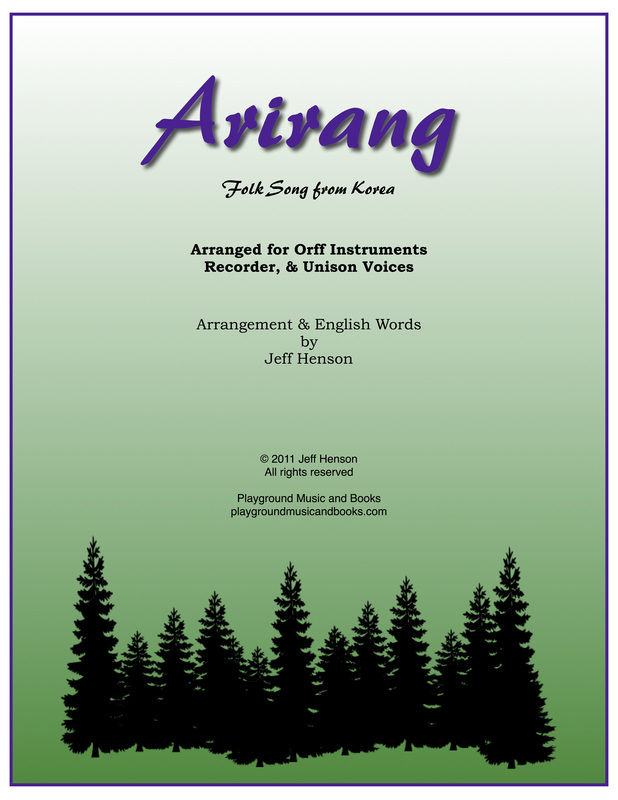 From the book, "Great Big House ", Arirang for Orff Instruments, Recorder, and Unison voices, paints a musical picture that captures the mystical mood of the hills and forests of Korea. Gentle mallet parts are combined with unique percussive sounds to represent forest elements. For grades 5 or 6. Performance notes included. SWEET SIXTEENTHS is written for Orff instruments and is a fun piece in a Mozart-like style designed to improve performance skills and literacy in the use of reading and playing sixteenth notes in groupings of four as well as improving the double stroke mallet technique. For grades 5 or 6. A crowd-pleasing favorite! 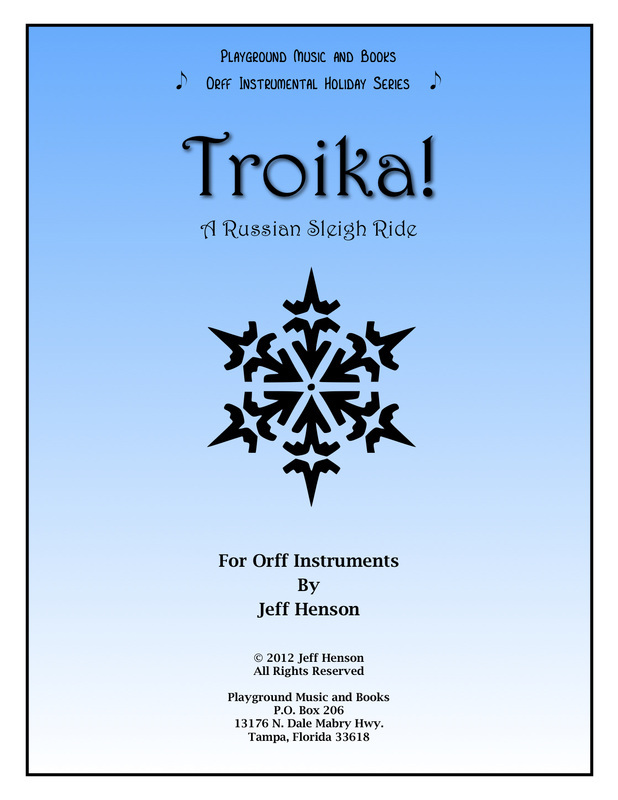 "Troika" is an original Orff instrumental piece that will be a memorable feature of any winter program yet can be performed anytime of the year. The galloping sound of the temple blocks combined with sleigh bells gives this work and undeniable feeling of winter. For Grades 4 thru 5.